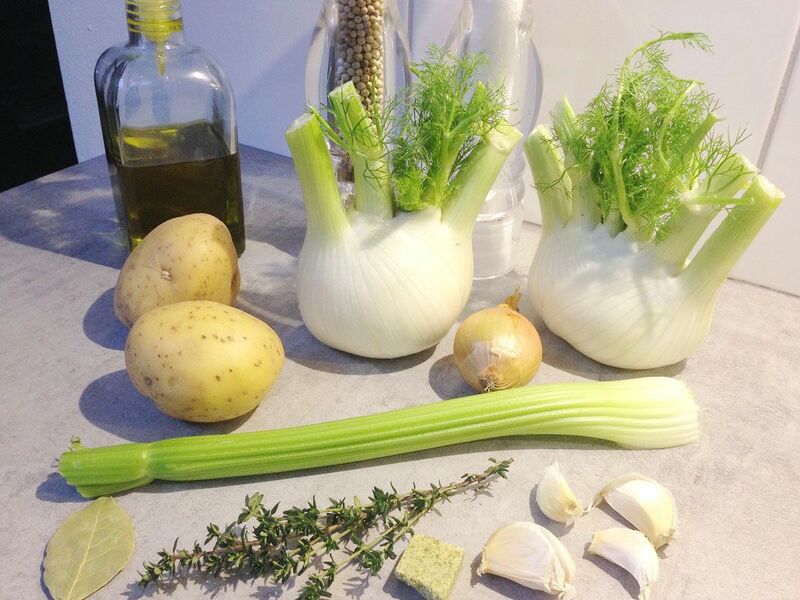 CUT the onion and the fennel bulbs into pieces of about 1 to 2 cm (0.4 to 0.8 inch). Put the large pan on medium-high heat, add some olive oil into it and lightly sauté the vegetables. Keep stirring occasionally, add the remaining ingredients after about 5 minutes, or until the vegetables are softened. BUNDLE the thyme and bay leaves together, so that you can remove them easily later on. You can do this using a piece of kitchen twine. Bring the soup to a boil for at least 5 minutes, this way the herb flavors will spread out nicely. 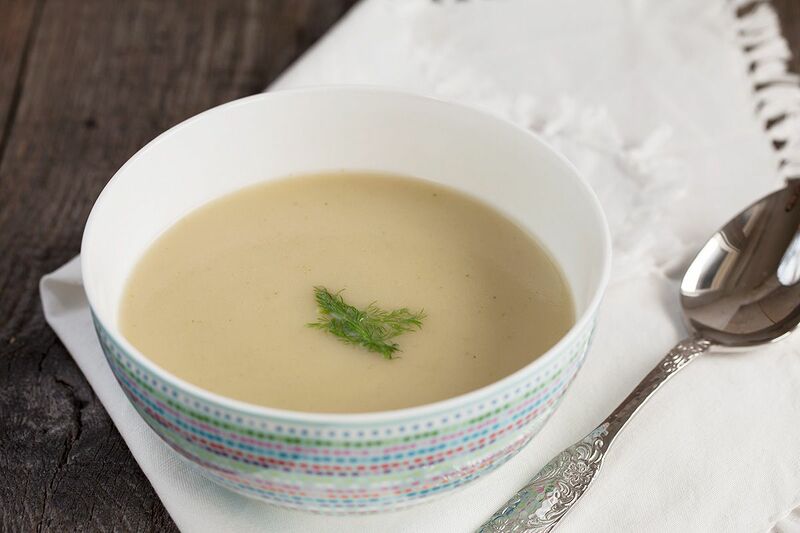 TURN DOWN the heat and let the fennel soup simmer for about 40 minutes. Remove the bouquet garni (herb package) from the soup after said period of time. Purée everything using your blender or rod blender. 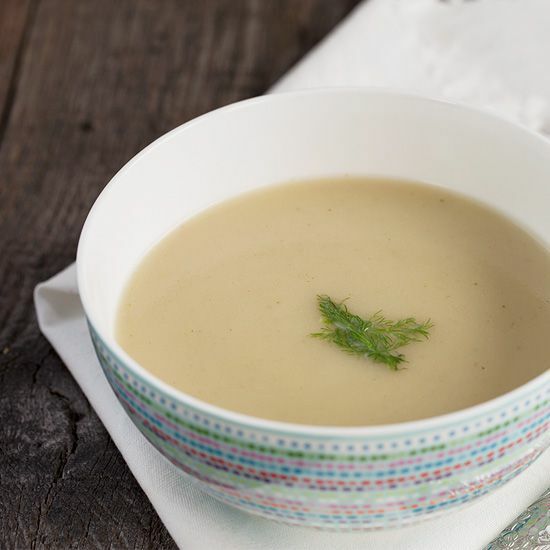 TASTE the soup to determine whether the flavor is o.k. If needed, season with some extra salt and pepper. 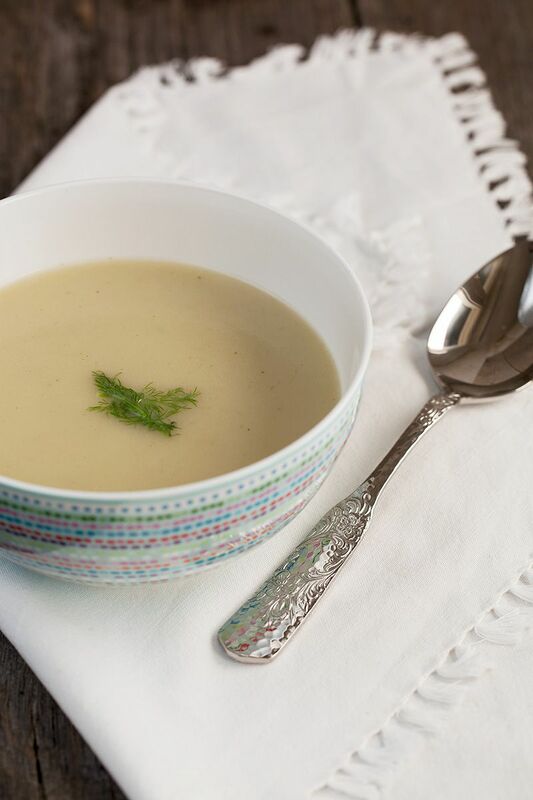 This soup has a velvety anise-like flavor to it, quite enjoyable on one of those darker days.